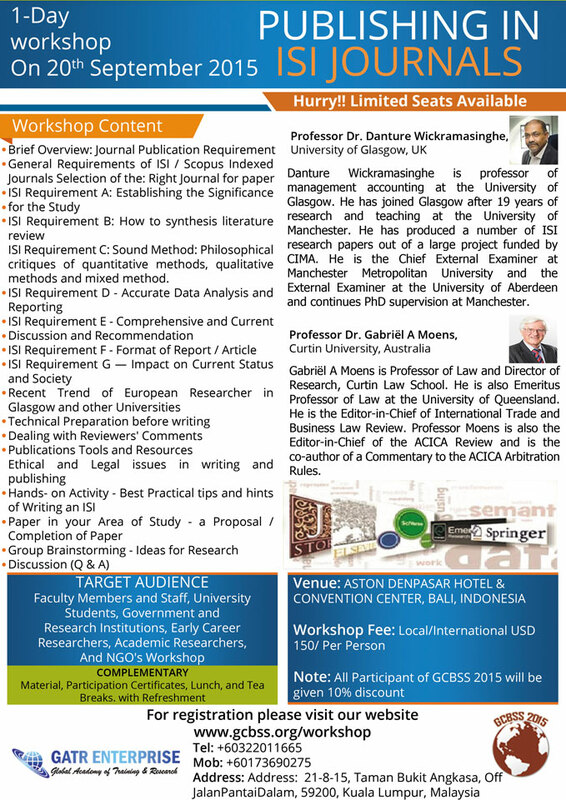 GATR ENTERPRISE also offer one day workshop on ''How to Publish in High Impact Factors ISI Journals". Please download the form for workshop registration and submit it along with payment slip at gcbss2014@gmail.com. Make a payment to the following account using Bank Deposit / ATM Transfer / Online Transfer.